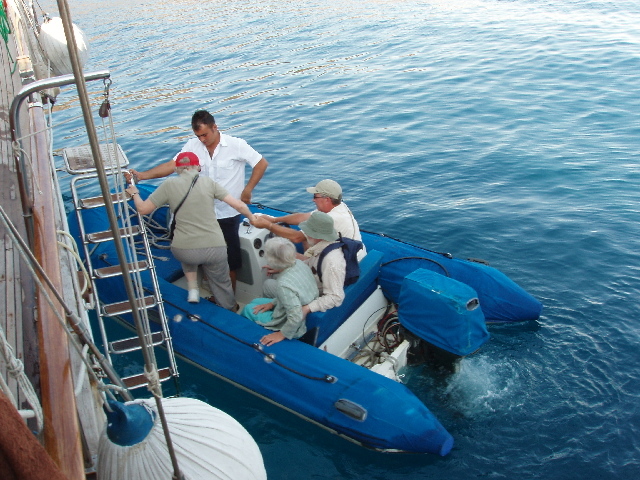 Our excellent steward Omur (standing, in white shirt) is also boatman. Our gulet is moored at Agalimani for us to visit the mausolea at Lydae. I also have a photo of the gulet from the hillside.